Being safe on the Internet is becoming increasingly important, especially when more and more of our data is being shared online. This handy list of resources will help you to find the right tools, information, and guides on cybersecurity so you can make sure you, your family and your business are surfing safely. Connectsafely.org – This website provides a wide range of guides, tips and advice for those who are looking to improve their online security. There’s also a handy guide for parents looking to improve cybersecurity for their kids. Internetmatters.org – Within this handy guide you’ll find some interesting stats and to-do lists as to how you can keep your children safe while surfing the Net. SecurityIntelligence.com – A free eBook is available here, which offers practical advice about how you can stay one step ahead when it comes to your cybersecurity. It’s great for those trying to learn about online security as well as those who are a little savvier and are looking for some inspiration and new ideas. CSBS – The Conference of State Bank Supervisors has produced a resource guide for bank executives, covering a plethora of topics, including how to protect yourself from and detect cyber threats. Techradar.com – This beginner’s guide to Internet security will demonstrate how you can protect yourself from various scams, including phishing emails and viruses. With everything explained in layman’s terms, it’s easy to understand and covers all of the essential basics. Consumerreports.org – On this web page you’ll find various guides, including ones on privacy and protecting your personal data. This is regularly updated with the latest security threats and news, so you’ll be able to keep on top of all of the latest scams, viruses, and so on. Nova Labs – Here you’ll find guides for those who are educating others about cybersecurity, including lesson plans, a glossary of terms, and an interactive game. Electronic Frontier Foundation – This website offers advice on surveillance self-defense, including basic guides, step-by-step tutorials, and detailed articles on specific situations. Infosec Institute – Aimed at those training in information security, this resource provides information on available courses as well as guides on a variety of online security topics, including cloud computing and hacking. UK Government – If you need to learn more about cybersecurity in the UK, the British Government produced a free guide to help small businesses improve their online security. TechRadar.com – This resource offers small businesses advice on the top security tools, including detailed reviews and the advantages and disadvantages of each of the products included. Comparitech – Here you’ll find helpful reviews of the top cybersecurity products available, including antivirus, VPNs, and online backup products. You’ll also find helpful information about why you need certain programs, what protection levels you need and whether there are any free programs that you can use safely. CIO – Within this guide you’ll find advice for businesses about choosing the best vulnerability scanning tool, including software- and cloud-based solutions. TechWorld.com – In this article you’ll discover what’s involved in online privacy and how you can achieve browsing secrecy. It also includes reviews of some of the top online privacy browsers, search engines and DNS nameservers. Want to learn more about cybersecurity? These resources will help you to stay on top of all of the latest developments in online security. Google – Find out more about safety on the Internet and what security measures Google puts in place through its blog, which provides you with all of the latest news and insights straight from Google HQ. Krebs on Security – Here you’ll find in-depth investigation and news on online security from Washington Post reporter, Brian Krebs. Comparitech.com – On the Comparitech blog you’ll find a variety of articles that cover everything from the latest news to handy how-to guides. You can also subscribe to their newsletter so all of this valuable information is delivered straight to your inbox. Microsoft Malware Protection Center – Perfect for Microsoft users or those working in IT, this blog provides you with up to date research and news directly from Microsoft, helping you to stay one step ahead of any security alerts. Security Bloggers Network – Instead of having to trawl through hundreds of different blogs to find out the latest news, this website brings together over 300 podcasts and blogs into one, easy to digest platform. ZDNet – This resource will help you to stay on top of all of the latest computer attacks, threats, vulnerabilities and software security research. The Guardian Security Hub – If you need to keep abreast of the latest security news in the UK, the information security section of The Guardian will keep you updated on all of the latest cyber security and information news. All of the articles are written in layman’s terms so are ideal for everyone. 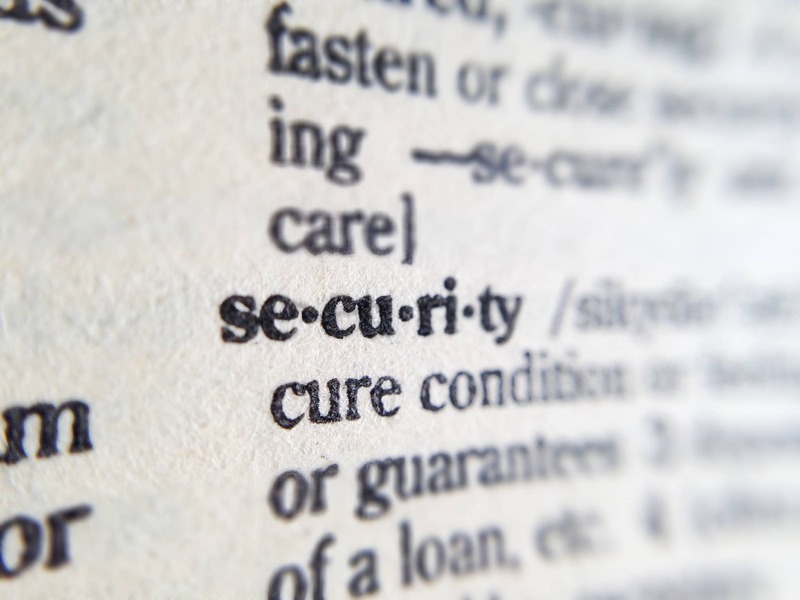 CVE – This resource is free to use and provides you with a handy dictionary of known security exposures and vulnerabilities. It’s funded by the office of Cybersecurity and Communications at the U.S. Department of Homeland Security. Information Security Stack Exchange – Got a question about security that you want answering? This resource is a message board site that allows users (often information security professionals) to ask questions or answer them. U.S. Department of Homeland Security – With an area dedicated to cybersecurity, this resource comes direct from the DHS, providing you with the latest security announcements and analytic reports and statements. US – Cert – The U.S. Computer Emergency Readiness Team is another offshoot of the Department of Homeland Security’s NCCIC. Here you’ll find a vulnerability notes database as well as updates on potential threats and vulnerabilities. What about antivirus testing labs?